He’s here! My third child and first son Baby D was born on August 4th 2016 on pregnancy week 40 day 3. My labor progressed over three days in an unusual pattern, early labor lasting a whole day, body resting the following day, then moving right into active labor the next morning. After being induced with baby #1 and baby #2, I had my heart set on going into labor naturally. 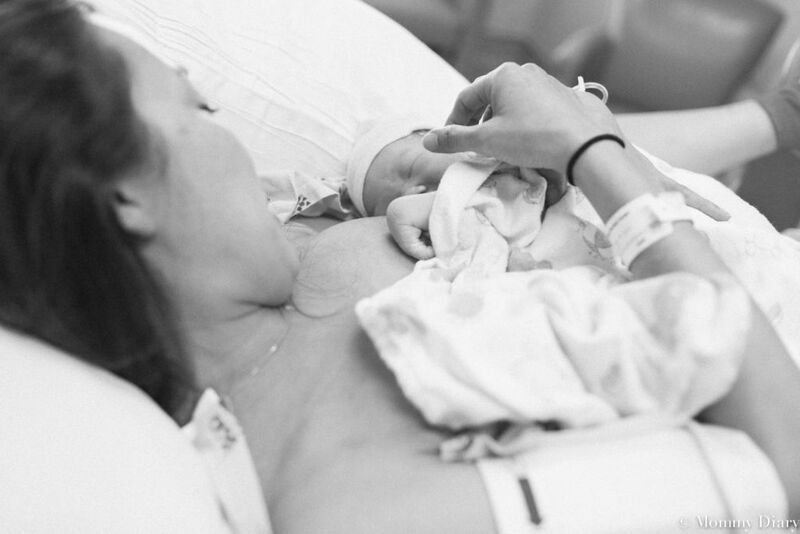 The labor took longer than I anticipated but the entire process was much more natural, instinctive and manageable than a pitocin-induced labor with easier recovery. Here is my birth story, I hope you enjoy it and find it useful. There’s nothing like the arrival of a new baby to change your world overnight. A week ago, my third child and first son Baby D was born three days after my due date. Luckily I experienced a healthy pregnancy despite my “advanced age” of 35, but it was nonetheless a long and laborious journey. Raising two kids while being pregnant is no easy task and like many mothers of multiples can tell you, it requires great patience, perseverance and organizational skills to maintain a healthy balance and divide your attention equally to your husband, existing children and the new addition growing in your body. For this birth story, I want to move straight into week 38 of my pregnancy. When I reached full term at week 38, my doctor performed a cervical check to see if I’m dilating which is a fairly standard procedure at that point. My Braxton Hicks contractions (pre-labor contractions during which your uterus “practices” going into labor by hardening and contracting) have been going on for months now so I knew my body was slowly preparing for labor. Sure enough, I was about 3 cm dilated and 50% effaced by week 36. My doctor said I would most likely go into labor before my due date and offered to strip my membrane (a practice that can jumpstart labor in 24-72 hours if body is ready) if I wanted to speed things along. I was tempted of course (38 weeks of discomfort can make you want to jump out of your pregnant body) but I had my heart set on going into labor naturally this time. Even though I had two children before, I didn’t know what it feels like to be in labor without pitocin (synthetic form of oxytocin) because I was induced the first time due to low amniotic fluid and the second time because I didn’t know the difference between the two and naively agreed when my then doctor offered it to me as early labor began. When I decided to wait it out, I had no idea I would be overdue. Any mom who has been pregnant can tell you that the last week of pregnancy literally feels like a year. I loved being pregnant and feeling his tiny kicks inside me but after 10 months, I was over it. 40 weeks is more than enough time to be pregnant and I was beyond exhausted and simply ready to be meet the baby boy. My due date came and went- still no sign of baby. 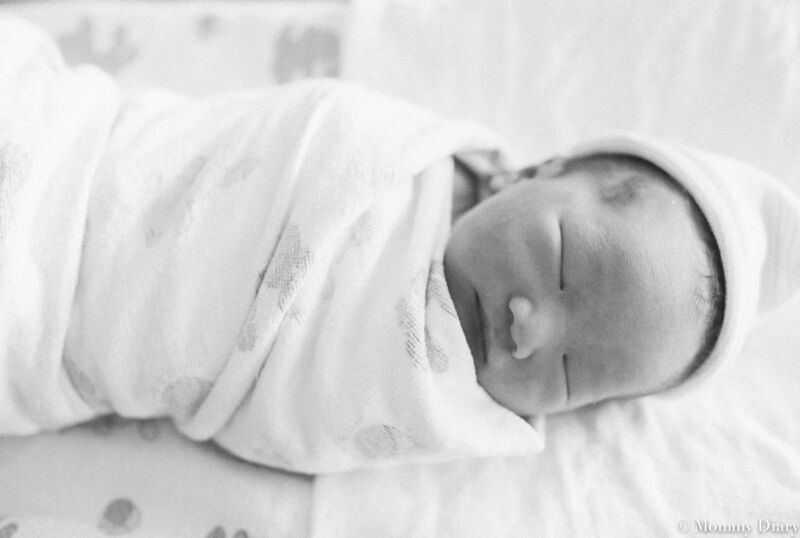 On week 40 day 1, my midwife stripped my membrane around noon. She also set an induction date for that Sunday- a full week after my due date- just in case I don’t go into labor naturally. (Going over 41 weeks isn’t recommended because it poses increased risks for the baby.) That would mean I have to repeat the intense labor experience of the first two children, something I dreaded and feared. That night, contractions began around 8-9 pm and lasted until about 2 am. It was regular and mild similar to period cramps but nothing unbearable. I was certain I was in early labor and decided to let my husband sleep until it was time to go to the hospital. I double checked my hospital bag and packed last minute essentials like my camera and toiletries. After hours of anxiously waiting for contractions to get closer together, I fell asleep knowing I would wake up when I reach active labor. The next morning I woke up with zero symptoms. The regular contractions and backache were gone and I felt completely normal, just really really pregnant. Sigh. I was exhausted from not being able to sleep and being hyper aware of my body for the past few days. Most notably, I was discouraged. I didn’t understand why my body was behaving this way and began to doubt my body’s ability to go into labor naturally. I googled “early labor symptoms,” “how long does it take to be in early labor,” etc., reading through hundreds of threads that pretty much tell you that it’s different for everyone and for every pregnancy. Eventually I learned that what I was experiencing is called prodromal labor, a prolonged period of early labor which is different from Braxton Hicks. It’s not “false labor” because it actually prepares your body for active labor by moving the baby into the right position, dilating and effacing but it doesn’t result in childbirth. During prodromal labor, the woman experiences regular contractions and pain that are real but they start and stop. How frustrating is this, right? Until this pregnancy, I have never heard of the term or knew anyone who experienced it. By this time I was pretty certain my body was incapable of moving into active labor and that I was going to be stuck in early labor for days until I’m induced. It would be exactly what I don’t want but I continued to remind myself that if I came this far, I can do this until the end. I was finally meeting my baby boy and one more week was not a big deal….well it kind of felt like it at the time, but I had no choice. I was going to remain strong for my baby boy. Then around noon the next day, I lost my mucus plug. I was actually relieved that something was happening since this never happened in either of my pregnancies. Perhaps this means I’m moving one step closer to meeting my baby! The day progressed with the same pelvic pain and heaviness everywhere in my body. I somehow managed to take a short walk around the park and just rest around the house not by choice but because I can tell my body needed it. I was too tired to do anything and I would soon find out that this was my body’s way of telling me to rest before the big day. On August 4th, 2016, I hit 40 weeks and 3 days. I woke up at 5:30 am with intense pain in my stomach. They say labor pains feel like period cramps but I think this is misleading. For me, early labor pains feel like period cramps and active labor pains feel like something else altogether. It’s this intense painful pressure deep inside your abdomen that is sometimes accompanied by backache and pelvic pain. Sometimes it’s difficult to distinguish between abdomen pain, backache and pelvic pain because all these pain merge together into one strong contraction. They say labor pains feel like period cramps but I think this is misleading. For me, early labor pains feel like period cramps and active labor pains feel like something else altogether. It’s this intense painful pressure deep inside your abdomen that is sometimes accompanied by backache and pelvic pain. Sometimes it’s difficult to distinguish between abdomen pain, backache and pelvic pain because all these pain merge together into one strong contraction. Because of what I’ve been experiencing for days, I wasn’t sure if I was in active labor. By this time I was pretty certain it’ll just stop and leave me disappointed again but the contractions continued and started to get more painful. I hopped in the shower and began timing my contractions. They were already pretty close together, between 5-10 minutes apart and coming regularly. I told my husband this might be it, blow dried my hair and got ready to head to the hospital. The contractions continued, now closer and stronger. Luckily my mom has been staying with us for about a week so we left our sleeping children at home and headed to the hospital at about 6:30, an hour after my contractions began. Everything was moving fast and contractions were getting stronger and painful enough that I couldn’t talk through them. In between contractions I realized I was hungry and considered eating breakfast but I was scared I wouldn’t be able to make it to the hospital before the pain becomes unbearable. The drive to the hospital was uncomfortable but manageable and I know if I took another 30 minutes I would’ve been one of those women screaming and wreathing in pain in the car. Once I arrived to the hospital everything moved fast. The receptionist checked me in and I was seen by the L&D nurse. By 7 am they hooked me up to the monitor and checked my dilation. I was already at 5 cm and definitely in active labor. By this time excitement was overshadowed by pain, then fear. From there everything moved fast. 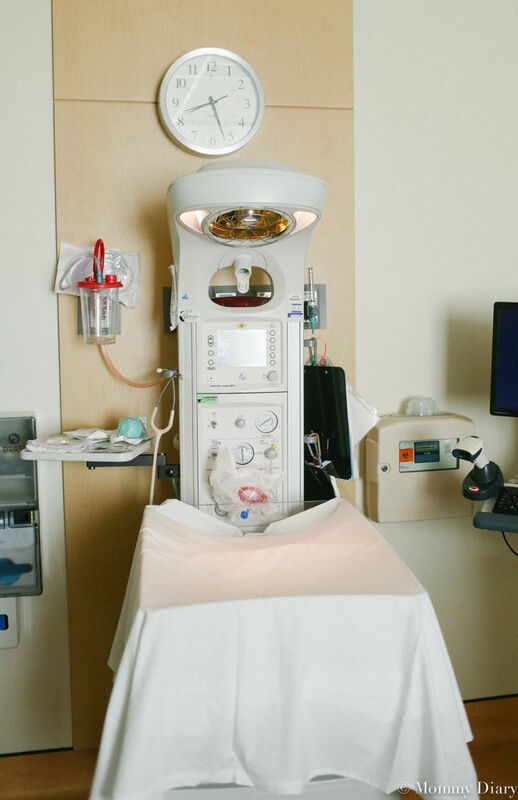 I was taken into a more spacious labor & delivery room where I will deliver my baby. I told them I would walk, hoping walking would ease some of the pressure I was feeling. I stood up from the bed and bam! Another STRONG contraction that took my breath away. I stopped, held onto the door, and tried to focus and breathe through it. I visualized each contraction as a “wave” that brings my baby down the birth canal. After a few stronger contractions on my way down the hallway, my water broke (another first!) as the pain became stronger yet still manageable due to breaks in between. I know this is different for every woman but I noticed a big difference between natural and pitocin-induced contractions. For me, the difference is that natural contractions give you breaks in between to recoup and recharge. It’s painful, but much much more manageable. 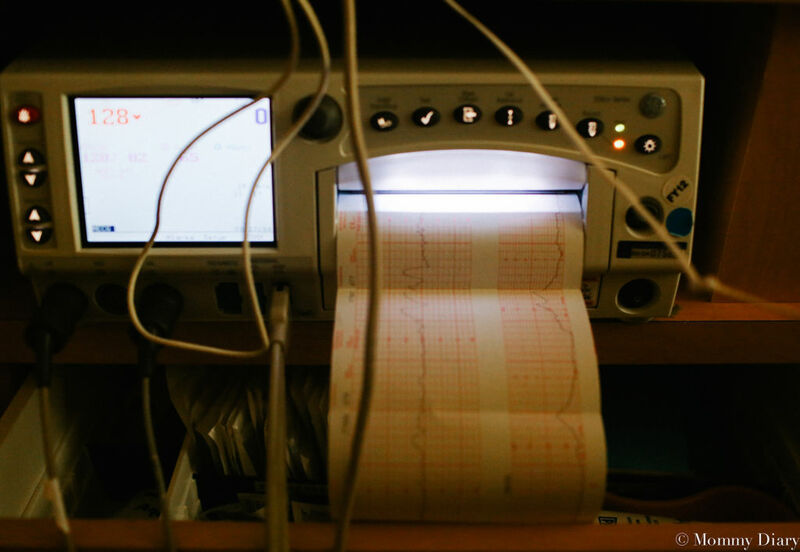 In contrary, pitocin-induced contractions are closer together and stacked on top of one another that it’s really difficult to endure it without an epidural. The difference between natural contractions and pitocin-induced contractions is that natural contractions give you breaks in between to recoup and recharge. It’s painful, but much much more manageable. In contrary, pitocin-induced contractions are closer together and stacked on top of one another that it’s really difficult to endure it without an epidural. Another difference is that natural contractions actually help you dilate, while pitocin-induced contractions can give you the most horrible pain without any progress. I experienced this with my first daughter when I was in the most intense pain yet my cervix wasn’t dilating for almost 12 hours. It was the most frustrating feeling to experience the worst pain of your life, only to hear that labor isn’t progressing. I still wonder why so many doctors offer elective induction when it makes labor that much more difficult and increases the chance of c-section. 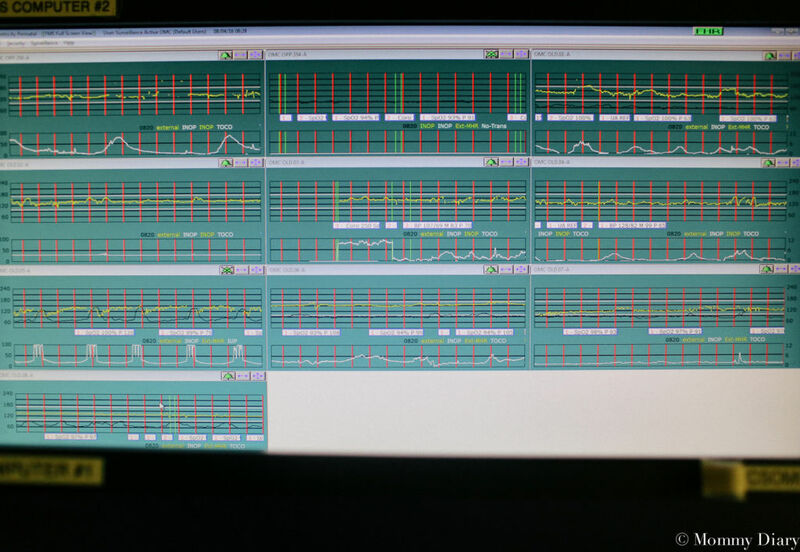 Overall, I felt a lot more in control of my natural contractions. It was painful yes, but not the kind of intense pain that makes you want to pass out without any cervical changes. The contractions were actually moving me one step closer to delivery and my body knew exactly what to do to make this happen. For this, I was amazed and grateful. 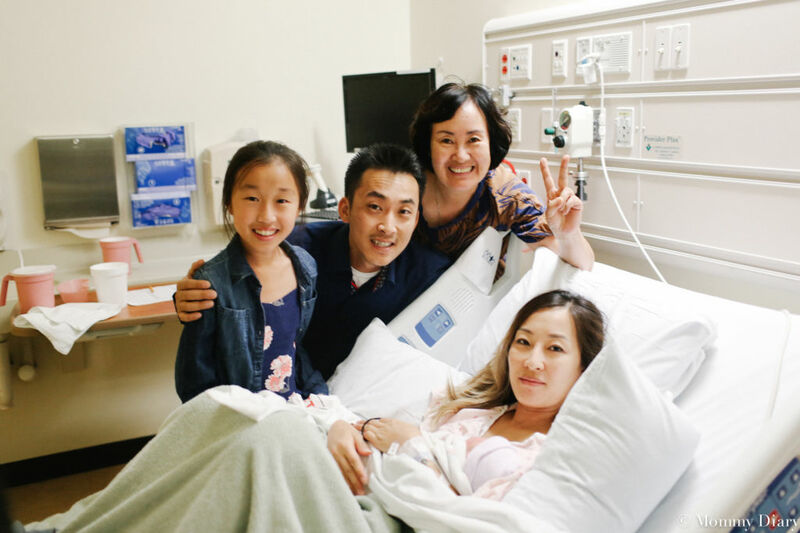 I was also able to get less epidural and feel more clear-headed and focused throughout the entire labor process. 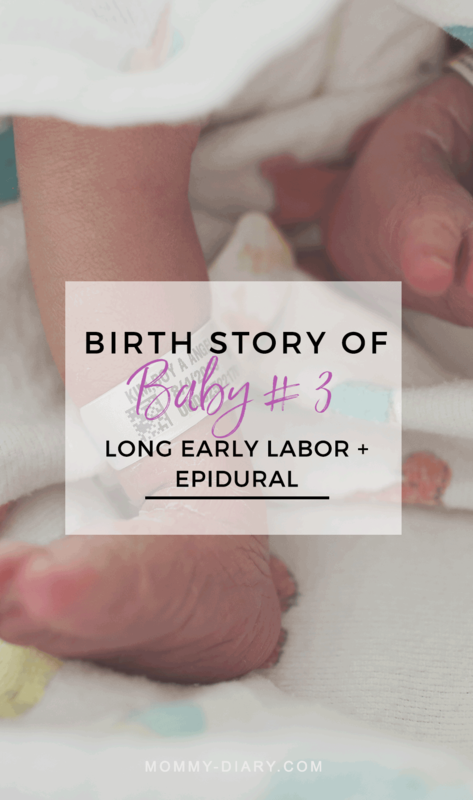 As labor progressed, I had to choose whether or not I would get the epidural. I would like to say I’m one of those women who can manage an all-natural delivery but honestly, I don’t know if I can do it. I used to think I have pretty good pain management UNTIL I experienced labor. Labor pains are on another level type of pain, not the kind you experience in your daily life like breaking a bone, getting a tattoo or taking a hard fall. It hurts like hell (and back) and the first time I experienced it I was certain something had gone wrong with my labor and that I was going to die. It sounds pretty dramatic yes- but it was THAT painful and I wasn’t even close to transition, the most intense part of labor close to delivery. There was no way other women go through this, I thought. Looking back, my labor pains were that much more intense because it was induced with pitocin. Another important life lesson learned this third time around. Another important thing to note about epidurals is that you can’t get it when you are too far along and you have to be able to sit still while the anesthesiologist administers the needle. In other words, if you’re already in so much pain that you can’t sit still, it may be too late to get the epidural. So timing is crucial, and be sure you know this before you say no to the epidural and decide to wait it out. 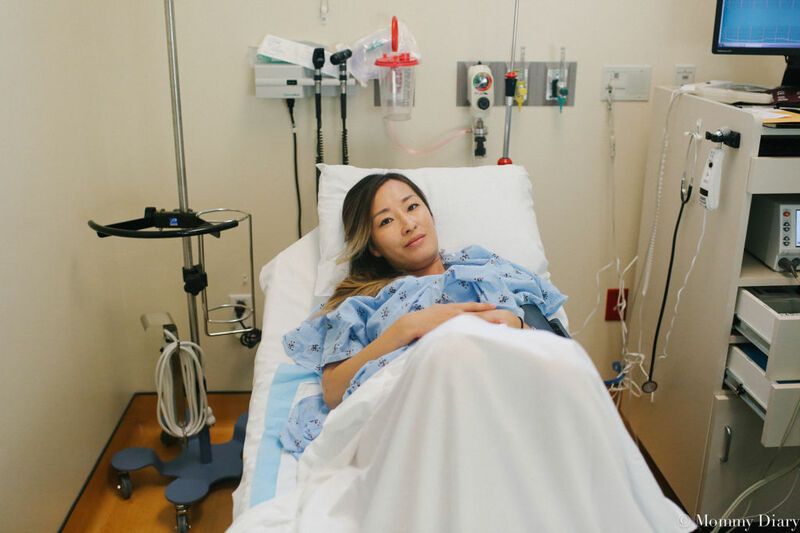 After experiencing painful contractions for about 3 hours, I was ready for the epidural. I knew if I waited a little longer, my pain would become unbearable until I can’t sit still. Here I am, smiling in between contractions waiting for the anesthesiologist. As you can see, I’m not in just-kill-me-now kind of pain thanks to manageable contractions. There were moments after this that were intense of course, when even epidurals can’t take away the contraction pain completely. I’ll save you from photos from that time. I didn’t want to have so much epidural that I’m too numb to feel my body and my legs, so I requested the lowest dosage possible. It took the edge off the pain but I still felt the waves of my contractions as baby moved down the birth canal. It took many hours to get from 6 cm to 10 cm, a lot longer than I anticipated, and I think this was because my body was doing what was best for me. I used this time to pray for my baby’s healthy and blessed life and a safe delivery (another first!) and looking back, these few hours were so spiritual and meaningful for me I don’t regret getting the epidural at all. I was focused, empowered and in tune with my surrounding and the movement of the baby that it was truly a beautiful birthing experience, my best one yet. At 4:14 pm, I heard his first cry and my first son D was born weighing 7 lbs 10 oz at 21 inches tall. 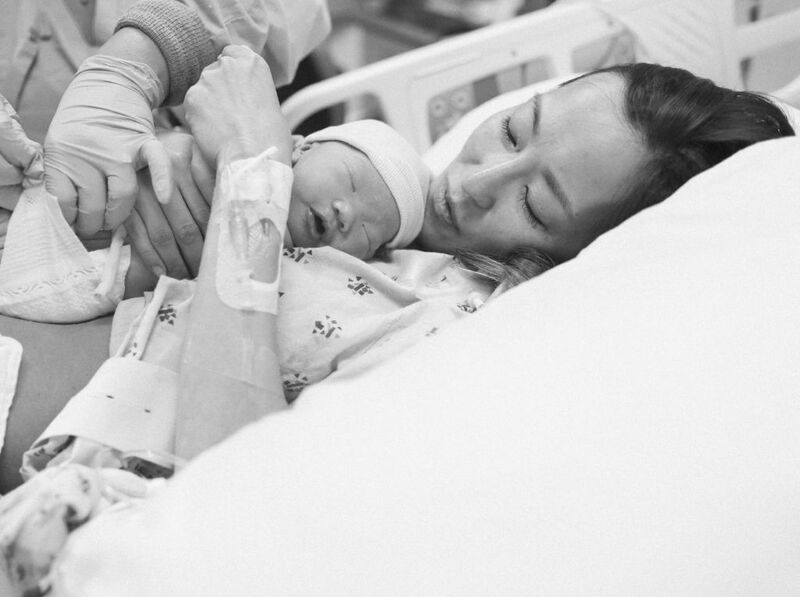 As he left my body and the midwife handed him in my arms with his umbilical cord still attached, I felt that rush of intense love hormones that really can’t be explained in words. It feels like heaven, ultimate euphoria, this giant fireball of love that seems to hold all the love in the universe. It’s the most intense, humbling and gratifying feeling in the world. He was finally here in my arms after 10 long months of waiting and enduring and it was all worth it. Every episode of nausea, every pain, every backache, every sleepless night was worth this moment. This child, this beautiful new life that God entrusted me with was already perfect in my eyes. And I was his mother. This moment remains to be one of life’s greatest mysteries and miracles in my book. I really enjoyed the hour of skin-to-skin to promote immediate bonding with baby. Before the nurses took him away to weigh him or check anything, he was placed in my arms for a whole hour so we can bond immediately after his birth. The nurses and doctors left the room and allowed our family to enjoy the magical hour without any distraction. I just kept looking at my husband with happy tears in my eyes repeating, “I can’t believe he’s ours.” My husband too, was overwhelmed with emotion and our daughters were so so amazed at their new baby brother. It was truly a blessed and wonderful moment that if I think back to it, tears still well up in my eyes. After the hour, I was transferred to the recovery room where I would to stay for 24-48 hours. Once I gave birth I was famished and beyond tired. I felt like all energy and strength has been sucked out of me and I had no strength to even breastfeed the baby. I somehow managed to breastfeed every 2-3 hours through the night while half asleep (an advantage of being a third time mom) but hubby had to do all the diaper changing until we got home. I still can’t believe how tired I felt after giving birth. It’s called labor for a reason, the hardest work I’ve ever done in my lifetime. After what seemed like countless tests and pricking of blood, we were discharged after 24 hours. Luckily he passed his bilirubin test and was feeding and passing stool well from day 1. For this, I’m immensely grateful. Recovery wasn’t pain free but much smoother than the first two and the after-birth contractions were so much easier to deal with! I think this too, comes from the fact that my contractions were natural and not pitocin-induced. 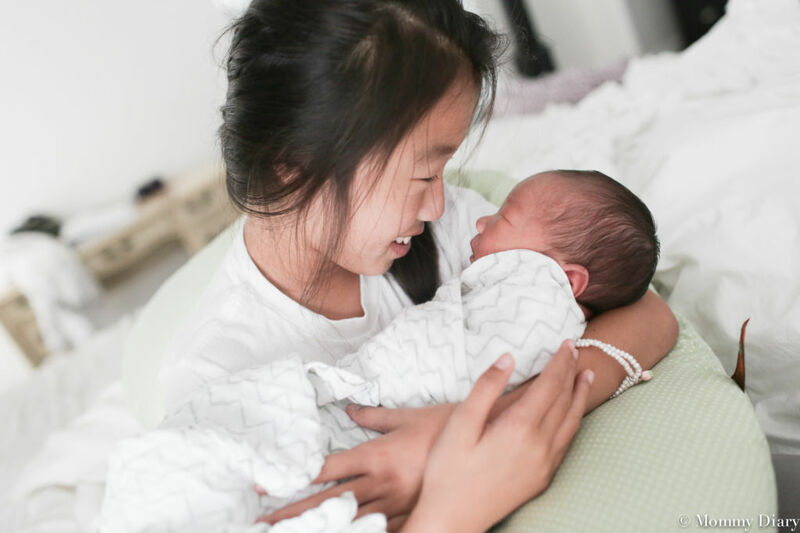 I remember crying while breastfeeding my second daughter even after a fairly smooth delivery because the contraction pains were unbearable, almost worse than labor pains. This time, I was expecting the same kind of pain but the cramping was much less painful and didn’t last as long, maybe about 2-3 days at most. If there is one lesson I learned from this labor and delivery experience, it’s to avoid pitocin as possible and try to labor naturally! It really makes a huge difference on delivery as well as recovery. Also, don’t feel the need to do an all-natural labor because epidural, when used wisely, can create a calm and peaceful birthing experience where you still feel in control of your body. So here he is, my third child and first son Baby D. He is doing well at home and everyone is adjusting well to the change. The whole family is utterly in love with our little man and we can’t wait to see what kind of adventures and stories await us. If you find this post useful, please pin the image below. It helps other parents find this post for more information and inspiration! Thank you for your support! Hi Evin. Before this child, I didn’t know the difference between natural labor and pitocin-induced labor so I agreed to it too. But yeah it was really painful, made my contractions too hard and recovery that much harder. 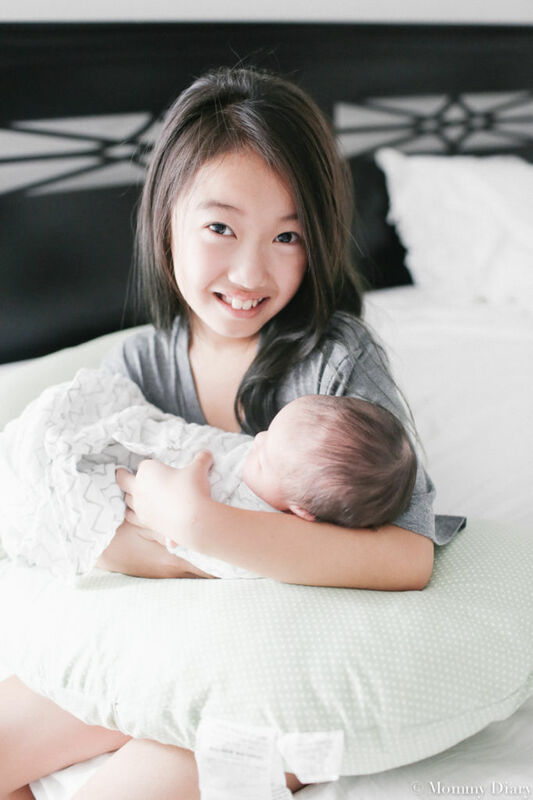 The after birth contraction pains were horrible and I couldn’t breastfeed without pain meds. This is actually my first time not using pitocin and it was overall much much easier. I wish I knew this before so I could’ve said no to pitocin with my second child. I hope you’re recovered from the C-section and enjoying your baby! In the end, all that matters is that we and the babies are healthy right? But yeah, if you ever plan to have another child, I’d suggest not using pitocin, it made a huge difference in my experience. Congratulations momma! I’m so glad you got to have a natural delivery! Snuggle that boy! Thanks so much for your journey! Congratulations! Enjoy your little baby boy. Thank you for the well-wishes Theresa! Beautiful story and family! Congrats on the birth of your newest baby! I’m sure his older sisters adore him! Thank you Rebekah. yes the whole family is in love. It’s a transition but we are adjusting well! Wow!! What an experience. Loved reading it. I’m not sure I could withstand how long it went like you. Good job mama!!! I had my 2nd son this past February and he was born 1 1 days after his due date! I guess then it felt like 3 years for me? 😀 I was put on wait list to get induced and I randomly got a call a week later that there was a room available and that I could come in to get induced that Friday. Tell me Angela, what are the chances, besides from the grace of God, that I started having contractions that Friday night? No need for pitocin! It couldn’t have been more perfect. Hi Lisa! Wow 11 days after his due date!? Yes that must’ve felt like 3 years (or more) and you were so strong for enduring it. Even being overdue 3 days felt like a lifetime at the time. It’s awesome you went into labor naturally– after being induced twice and going into labor naturally the last time, it makes a world of a difference! How come doctors don’t tell us this when they ask us if we want to be induced? It’s good to know I wasn’t the only one who felt early labor pains were different than active labor. Those textbook descriptions can be confusing and that’s why so many women run to the hospital as soon as they experience regular “period-like cramps.” Btw, I can’t believe you endured all natural labor, that must’ve been intense! I experienced what felt like transition pains when I had pitocin and it was THE WORST PAIN ever. I was begging for anything to get rid of the pain. 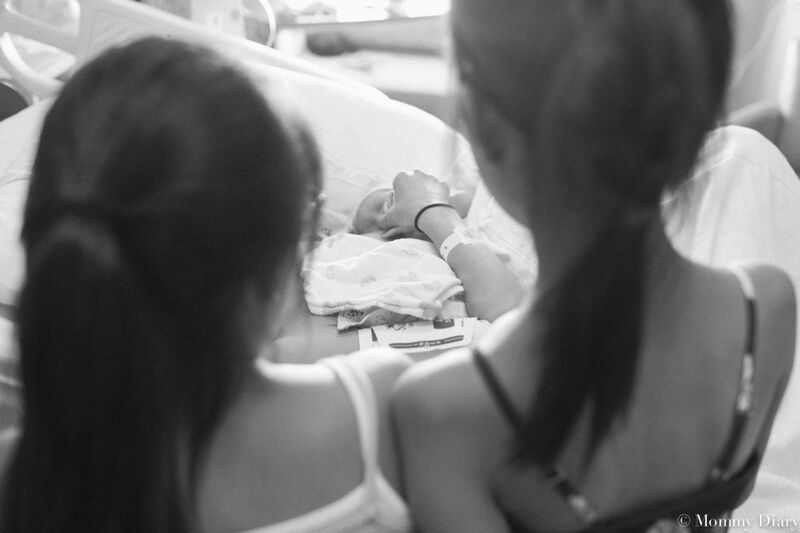 You’re so right–epidural is your best friend, why fight it? Thank God for the epidural, my labor and delivery was so much smoother this time around.